At Zignature®, we strive to create the best dog food in the world. 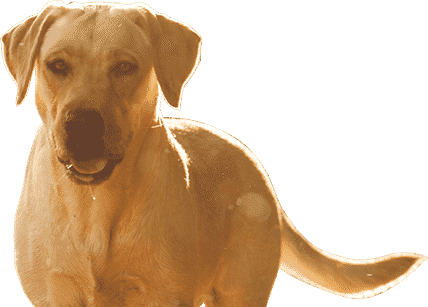 We do that by using meat first, limited ingredient recipes to provide a Physiologically Tuned™, nutritionally correct diet for your canine companions. Meat first provides the animal protein dogs need to thrive, while our limited ingredient philosophy eliminates allergenic ingredients, such as Chicken, Corn, Wheat Gluten, Soy, and Potatoes. The result is an optimal hypoallergenic, grain free, and low carbohydrate nutrition. We build on this natural foundation by adding vital supplements such as antioxidants, essential fatty acids, and a complete spectrum of vitamins and minerals for holistic pet food that goes beyond nature to become your pet’s signature food for life. While we all consider our pets to be members of the family, their dietary needs are different than ours. As carnivores, they require a diet high in protein. That’s why the first ingredient in any Zignature® product will always be quality meat or fish. This isn’t just what your pet craves, it’s what they need to build a soft, silky coat, healthy muscles, and strong bones. Meat first, the way nature intended. Our recipes mirror the true diet your pet’s ancestors thrived on in the wild. While prey caught may vary from day to day, the meals were limited in content. We follow this blueprint in creating natural dog food that limit the number of ingredients in our recipes. This ensures proper digestion for your dog, while minimizing possible allergens and food sensitivities that can affect their health. At Zignature®, we understand that pet food allergies are causes for concern. This is why every recipe crafted in our kitchens is free of the most common potential canine allergens: Corn, Wheat Gluten, Soy, Dairy, and Chicken. And when we say free of Chicken, we mean 100% free. We don’t use Chicken Eggs, Chicken Meal, or any Chicken By-Products, whatsoever. So you can be assured we take every step possible to provide the healthiest food for your dog. You should be counting carbs, at least when it comes to your canine. Dogs thrive on a high protein diet that is rich in nutrients from meat sources. Carbohydrates do provide important nutritional benefits, but they have to be of the right kind. Our limited ingredient recipes omit high-glycemic carbohydrates, which are often commonly used industry staples. Instead, we use low-glycemic legumes, such as whole Chickpeas, which promote stable blood sugar and provide valuable dietary fiber. We take full advantage of the latest advances in nutritional science. All of our recipes are enhanced with the health benefits of supplements such as essential fatty acids, antioxidants, and a complete spectrum of vitamins and minerals. This way, we provide the healthiest dog food in every delicious bite.